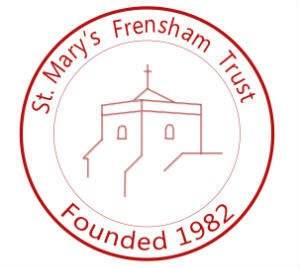 During the past 35 years St Mary’s Frensham Trust has made 546 donations to 170 different charities nominated by the parishioners of Frensham and Dockenfield, giving over £75,000 to good causes. From small beginnings, the value of the Trust’s investments has grown to more than £100,000 enabling the investment income of £4,922 to be distributed to 17 worthy charities in 2018. Since 1982 the Trust has supported work amongst the sick, the lonely, the poor and the homeless. Parishioners have applied to the Trust to receive funding to support charities close to their own hearts. These have ranged from small local groups to large international aid agencies. To mark the Millennium, additional fund-raising was made for WaterAid and now money is donated every year to support their vital work in bringing clean water to people around the world. The capital held within the Trust has built up from individual donations, legacies, fund-raising events, investment growth and Gift-Aid rebates. In accordance with the Trust Deed, gifts are added to capital and all charitable donations are made out of investment income. This growing investment income provides a steady stream of funding to be donated to other charities. Additional donations and legacies are most welcome, to increase the Trust’s giving in future years. Please use Gift Aid where possible. Gift Aid details are available from the Trustees. The Trust was set up by the late Mr S E Blackstone CBE. It acts as a caring arm of the parish, by funding outward giving with zero administrative costs. To preserve its close connection with the church, the Trustees are appointed by the Parochial Parish Council (PCC). It is established in perpetuity by a Trust Deed. Anyone registered on the Frensham and Dockenfield church electoral roll may nominate a suitable charity for a donation by the Trustees. To use the Trust, simply contact one of the Trustees and write in with your Charity nomination. Please enclose some of your chosen Charity’s literature showing their work, and ideally include their latest accounts and Charity Number. The Trustees meet in late Autumn to approve the annual grant donations. A cheque from the trust is then sent to the sponsor of each Charity, who forwards it directly to the Charity. In this way sponsors and charity recipients are brought together without any administrative costs. Please do use the trust. To everyone who would like to see our Church show that it has a real part to play in spreading the love of God in our world, please come forward and ask for our help. Whilst nationally we have come through the recession and are now in a period of economic growth, we nevertheless remain in a period of governmental austerity. Now also there is much instability and anxiety due to the Brexit process. For charities who have recently had some very lean years, this instability continues to threaten their survival as local government cut backs have been inevitable. Many charities report that people now seem more cautious in their giving, which is unsurprising. But the need for charitable giving remains and may have even increased because many charities are now ‘back up support’ for our struggling NHS, or helping those who have had government funds cut, or assisting with aid to those who are refugees from various war torn areas or places of natural disaster in the world. The Christian church has always had ‘almsgiving’ not only at its heart but also as a key Biblical foundational duty. Charitable giving is an essential responsibility and action of the Church because it is concerned with Christ’s purpose of restoring the provision of love and care, and can also bring balance and equity. In the Benefice of Frensham, because of St. Mary’s Frensham Trust, we can continue to give confidently and reassuringly to the many and diverse charities nominated by local people who care passionately about the continuation of their services. We support local, national and international charities and can achieve this year on year due to careful investment and management of capital funds. Be assured of our commitment - it is our privilege and a great joy to continue supporting so many charities.